One of Spain’s senior officials described Madrid as the region of Spain with the most economic freedom and certainty for business. “The Madrid Region is about the size of Sikkim, but with the population of Hyderabad.” This is how a delegation of 23 Mumbai Investors was introduced to our region at Invest in Madrid agency back in April. Madrid Region is one of the 17 “Autonomous Communities” – the Spanish equivalent for the Indian “states” or the German “Bundesländer” – in which the Spanish State is organised. In fact, despite its relative small size, Madrid is the third most populous region after the vaster regions of Andalusia and Catalonia. 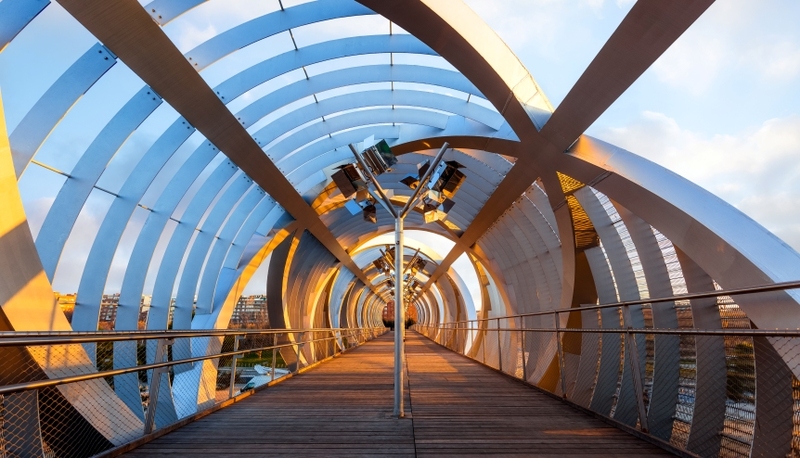 One could say Madrid Region is like a good essence: it is concentrated (because it is the most densely populated region of Spain) and it is rich in content (because it is the region with the highest per capita GDP in Spain). Both Spain and Madrid are located on privileged spots. Madrid is right in the middle of Spain, with a potential market of 47 million consumers. Spain is the door to Latin America, the European Union and the North of Africa, three potential joint markets of 1.2 billion customers. To understand the significance of the Madrid Region, we first need to look at its context: Spain and the European Union (EU). Spain is the fourth-largest economic power of the Eurozone and, as per the IMF’s latest ‘World Economic Outlook’, it is set to be the fastest growing of the big and developed countries for 2018 and 2019. Only the US will perform slightly better, and this in part due to important tax cuts recently introduced by US President Trump’s Executive. Even the secessionist defiance in Catalonia – which we believe is not desirable for either party – has proved the Spanish economy to be more resilient than expected, with economic effects felt above all in Catalonia and not so much in the rest of Spain. Our economy grew at a robust 3.1 per cent in 2017 (Madrid Region at 3.7 per cent), which by Indian standards is “peanuts”, but for the Old Continent it is quite a remarkable figure. This progress explains why Madrid has hosted all of the companies fleeing from Catalonia: in the first quarter of 2018, 1,350 Catalan firms moved their official residence to Madrid. It is true that this move has not been accompanied by any relocations of workers so far, it only has had some tax and internal organisation implications. However, we believe this behaviour is significant and shows the confidence businesses have in the Madrid Region. Madrid generates 20 per cent of the country’s GDP. It is the economic locomotive and the financial and decision-making centre of Spain; the region in Spain with the most economic freedom and certainty for businesses. No wonder that two out of every three Spanish companies choose Madrid to base their head offices. As do foreign firms, with 40 per cent of their subsidiaries in Spanish territory choosing Madrid over any other Spanish locations. This makes Madrid the most preferred destination for FDI into Spain, with 61 per cent of total FDI inflows in 2017 ending up in Madrid Region and an annual average of 56 per cent since the FDI data started to be collected in 1993. Madrid is also a great place to live, visit, study and to start up a business. Whenever expats are asked where they would like to live, Madrid tends to come up because of the security, the quality of life, the education possibilities, the healthcare system and not to forget: the weather, the food and the culture and sports on offer. But Madrid’s narrative needs to be extended well beyond Spain’s “legendary quality of life”. As per my experience, businessmen and entrepreneurs are practical in essence. When it comes to deciding on where to settle a business, two main questions arise: cost and taxation. Let me clear these doubts for all Indian investors that might be looking into Madrid. Eurostat (the statistics office of the European Union, on its latest Annual Labour Cost figures published on April 2018) estimates Spanish hourly labour costs (an average for qualifications and sectors except primary sector, which includes wage and non-wage costs such as employer’s social contributions) in 2017 were at around 21 EUR, whereas these costs amounted to 26 EUR for the UK and to a much higher range of 30-35 EUR in France, Netherlands, Germany or Ireland. Not to mention that Spain’s labour cost is linked to a very well prepared labour force: Eurostat also says that in 2017, 33 per cent of the Spanish labour force (47 per cent in the case of Madrid Region) has attained tertiary education. Ireland and the UK are better performing than Spain in this matter with a percentage of 40 per cent and 39 per cent respectively. But Netherlands, France, Germany and Italy all do not reach our tertiary educational standards according to the Statistics Office of the EU. Knight Frank, in its latest ‘European Quarterly’ report, states that prime office space rents in Madrid in the last quarter of 2017 were at 366 EUR/sqm/year. This is the cheapest location by far in the European Union, above all if we compare it with London’s WE, The City, Paris or Dublin. Other typical locations like a Frankfurt or an Amsterdam prime office would also be more expensive than Madrid (at more than 400 EUR/sqm/year). Lots of companies want an emblematic display of their presence. At the moment we have Operation Chamartín also known as “Madrid New North”. It is a multibillion-euro scheme to redevelop part of northern Madrid and create a new financial district. It is the most important urban project in Europe. Businesses will be able to relocate to existing offices or even construct their own buildings. The tax issue is also usually a big concern for Indian investors. I want to be completely transparent on this matter. Although it might initially be a bit counterproductive, I believe that it is the right strategy in the long run. This is how you build trust, which is the basis for any long lasting economic relationship. Our combined corporate tax (takes also regional taxes into account) works with a general rate of 25 per cent. According to the OECD Database on Taxation, this rate would be in-between the taxes at the upper end that apply in France, Germany or Italy and the taxes at the lower end, which are the ones in the UK or Ireland. The VAT is more or less harmonised throughout the European Union, this means that almost all EU countries have rates of around 19-22 per cent, and there is not much room for tax differentiation regarding VAT (in Spain a 21 per cent rate applies). Concerning the income of individuals, the marginal rates in the EU are quite similar, they range from minimum marginal rates of 15 per cent to maximum marginal rates of 45 per cent, the key lies in the definition of the income slabs, making it more difficult to establish comparisons. But if we take for instance the OECD tax burden indicator, which measures tax collection as percentage of GDP, Spain has the lowest tax burden when compared with Italy, Germany, the UK, France or Ireland. In any case, India and Spain have since 1995 an agreement to avoid double taxation, which is always a plus. Setting up a business in Spain is simple in general terms. It is also worth noting that restrictions on foreign investment as well as exchange controls have virtually been eliminated in line with the EU legislation on deregulation in this particular area. Only some service industries need authorization or a deal to operate in the European economic area, this is the case for financial services or aeronautic businesses. The 2018 Doing Business Report published by the World Bank Group ranks Spain 28th out of 190 countries according to the ease of doing business. This position is a well-deserved and improving middle position in between better performing countries like the UK, Ireland or Germany and worse performing ones like France, Netherlands or Italy. Just a fact for Indian investors to judge: incorporating a company in Spain takes approximately 13 days according to this report. At the Regional Government of Madrid, there is a commitment towards cutting red tape and thus, the Regional Government is dedicating extra effort to minimize bureaucracy contributing to Spain’s improvement in this ranking: five positions up since 2017. To sum up, the Madrid Region is a well-balanced, cost-effective option in the EU as proved on the above content. If you are an investor reading this article and thinking on where in the EU to establish your business, please, do take Madrid Region into consideration. I firmly believe that Madrid has a real value proposition waiting for you. 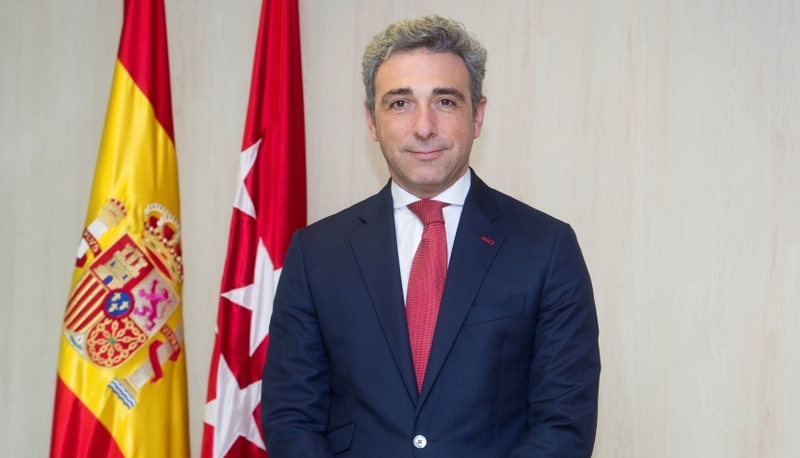 Javier Ruiz Santiago is Regional Vice Minister of Economy and Competitiveness for the Regional Ministry of Economy, Employment and Finance of the Madrid Region.